The Greater Huntington Park & Recreation District has announced a date change for the snowball tournament. 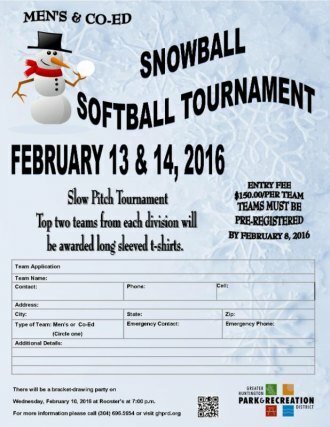 As a result, the Snowball Softball Tournament will be February 13 & 14, at St. Cloud Commons in Huntington, WV. 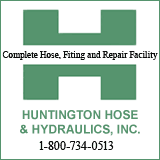 Advanced registration is required with a deadline for registration on February 8, 2016. This annual event is a Men's and Coed tournament that continues come rain, sleet or snow! Bundle up and have a blast! Team Registration cost is $150, and game balls are provided. Only a limited number of teams can participate in the two day tourney, so get your team together and register early!